Places to Eat in Wichita, Kansas ↠ The Good Egg. I don't know if you've seen the dancing cop video that's gone viral, but it makes me pretty proud to call Wichita, Kansas my hometown. The day after a Black Lives Matter riot, the police officers in Wichita had a community barbecue and dance party. Such a great example for how things should be! The dancing police officer in the video is a fellow alum of my very small high school, so I'm doubly proud. Since I was feeling all the good vibes for my hometown today, I wanted to share one of our favorite restaurants there...in case you ever visit. The Good Egg is pretty much my favorite breakfast place ever. They have so many options that I love and at reasonable prices. Can't beat that! They recently changed their menu, though, and while they still have so many things I would highly recommend and new ones I want to try...they got rid of some goodies too. Bummer! The Good Egg, if you're reading, please bring back the Castroville omelette, Farmer's Delight omelette (I believe that's what it was called), and the Mexi-Cali Burrito (the Hot Juan Burrito looks fabulous, but the one you've always had was my favorite!). Sooooo good. And now I wish we were in Wichita for the night so we could stop in for an omelette (and coffee, I miss coffee) in the morning! What's you're favorite breakfast place? I'd love to add it on my list of places I'd like to try when we travel! You can find more places to visit and eat in Wichita here. 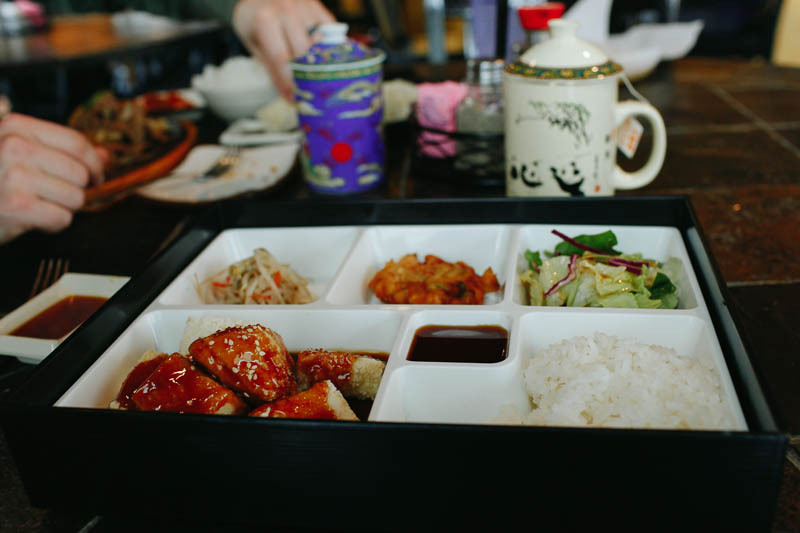 Places to Eat in Wichita, Kansas ↠ Hot Stone Korean Grill. 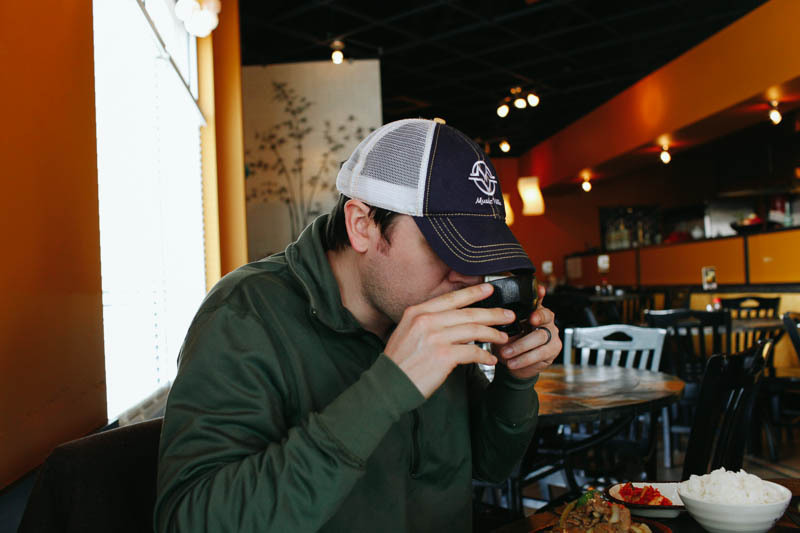 If you live in Juneau, Alaska, the place to get the best Korean food is Twin Lakes Cafe, but if you live in Wichita, Kansas (or are in town), that place is Hot Stone Korean Grill. Dave found Hot Stone on our wedding day, it was right down the street from my Dad's house (where he and the groomsmen were staying), they stopped in for lunch and some sake and we've been visiting ever since. 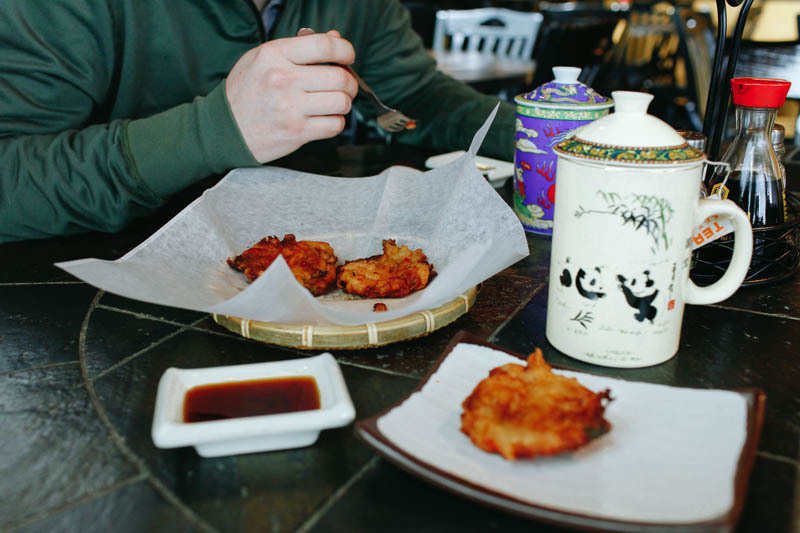 For an appetizer, we recommend the tempura vegetables...so much fried wonderfulness. For dinner, I recommend the tofu teriyaki and the salmon teriyaki, I pretty much always get the tofu, no matter how many times I say I'm going to branch out when we go. Dave suggests the beef bulgogi. If you live in Wichita, Kansas and haven't been to Hot Stone, you're missing out! We stop by at least once every time we come to town. 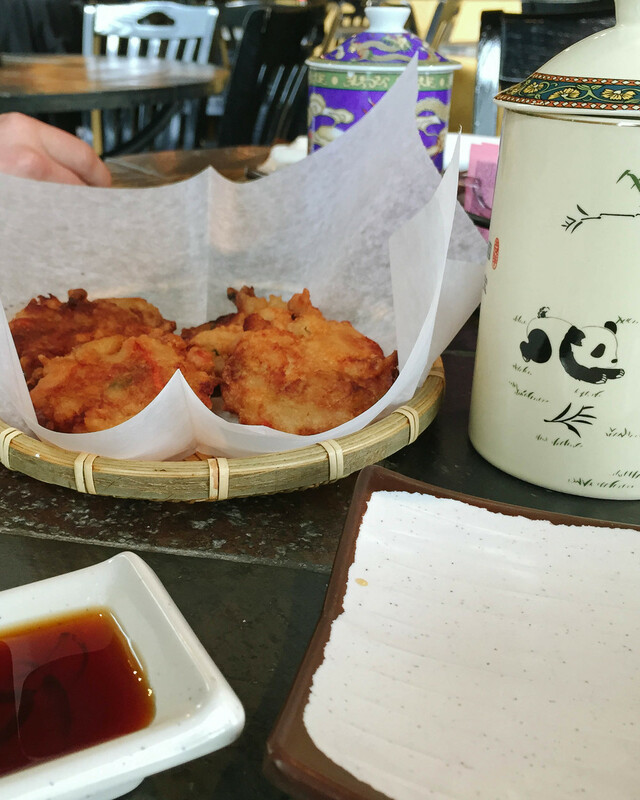 Do you have a delicious and authentic Korean restaurant in your town? We want to know all about it! Leave a comment below so we can add it to our "must try" list.